During cold and flu season many people stock up on tissues, throat drops and other medications to relieve their symptoms and help them get back to good health. What they may not realize is that mixing medications can make you feel worse and can even lead to poisoning. This winter, Preventable is raising awareness of the dangers of mixing medications and self-medicating. 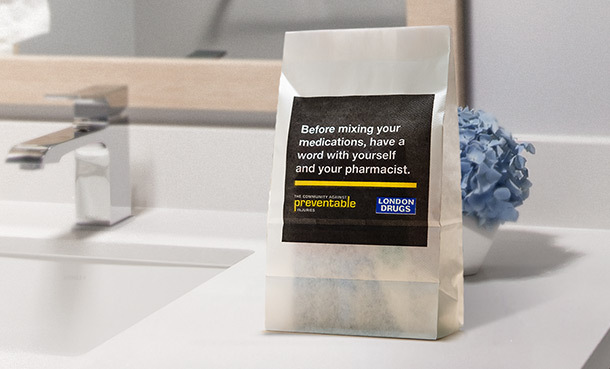 In British Columbia, preventable poisoning is one of the top three causes of death and hospitalization – each year over 25,000 poisonings are reported. Many of these preventable poisonings are related to adverse drug interactions. Young children account for the majority of poisonings and 75% of childhood poisonings involve over-the-counter and prescription medications that are not labelled or stored properly. Keep a list of all of the medications and supplements that you’re taking. Always talk to your pharmacist before taking any new medications or supplements. Use the same pharmacy for all of your prescription medications. That way your pharmacist can let you know if you’re at risk of drug interactions. Read the labels on your medications and supplements carefully, and follow all directions and portion recommendations exactly.